On three consecutive days of November 25-27, 2009 (Thanksgiving Day, and the days before and after), disturbing e-mails were sent by an anonymous person from a farm house in Potwin, KS to Spencer C. Young, his mother (Edna May Young), sister (Denise Vallarino) and fiancee' (Leah Krier). Click here for details. 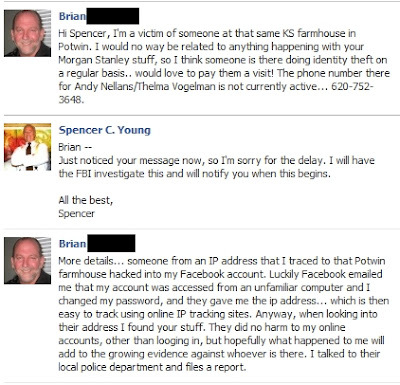 Reflected below are instances of THREE other people who have received strange anonymous emails or were otherwise hacked from an AOL email account that originates from the same farmhouse in rural Kansas. Subject: 8653 NW 120th St Potwin KS 67123-9630 The mystery continues. I received an e-mail yesterday 2 Dec. 2011, regarding someone who will not ID themselves. The email details information that only a close member of my immediate family, would know. I spent today exploring where the email came from and it seems to have originated at the above address. In the process I discovered your morganstanleygate blog. I saw, but can't relocate some information on some strange land dealings and emails having to do with the above address. I am trying to locate the owner of the e-mail address (course101@aol.com) all my searches on the IP return this address as the owners address. Something funny is going on here. The name Thelma Hinnen Vogelman, Andy Nellans, James Arnold, keep coming up in my search. 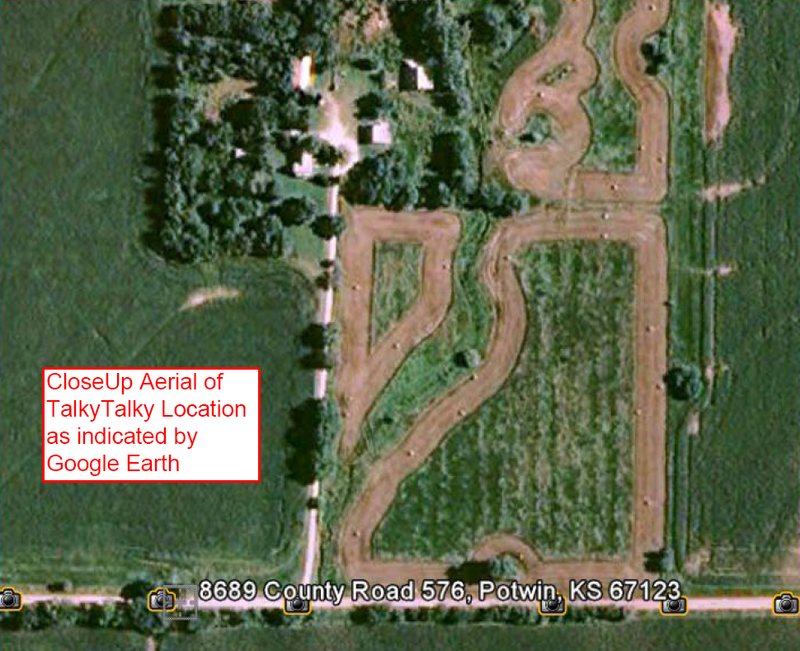 I even found Vogelman in a list of landowners informed about the Keystone pipeline project. Vogelman died in 1998. Anything you could add to the search would be appreciated. I have other bits if you have any interest. Just ask and I'll supply a phone number. susie1963@yahoo.com is the email address they used. I am in Texas. lady signed the email "Sue".